When walking around the produce section of the grocery store many factors influence what items you buy. Do I want conventional or organic produce? What look most appealing? What meals will I prepare? What is in season and what can I afford? However most of the time a typical shopper does not think of the people responsible for growing and harvesting their food. As consumers we know little about the the farm workers and their work conditions. Here in Burlington I can often choose which vegetable I want to buy based on the local farm it came from and who I want to support. This past fall I based some of my choices on supporting farms who lost produce to flooding, Digger's Mirth, or just my neighbor who co-owns Arethusa. More often then not the produce may just say the state is was grown in. In Immokalee, Florida, where most domestic tomatoes are grown, for some workers the conditions are a modern form of slavery. 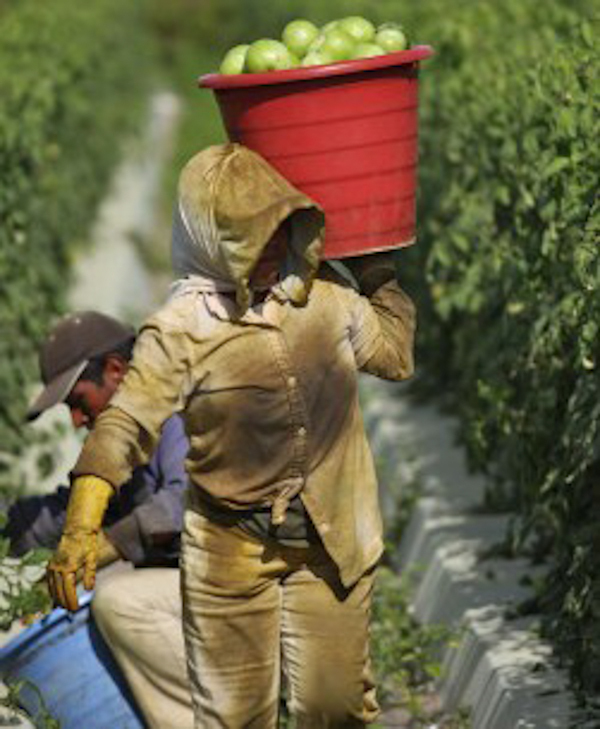 For those who are lucky enough to have their freedom they spend 10 hours a day picking tomatoes with no benefits, sick leave or overtime for $5 an hour. 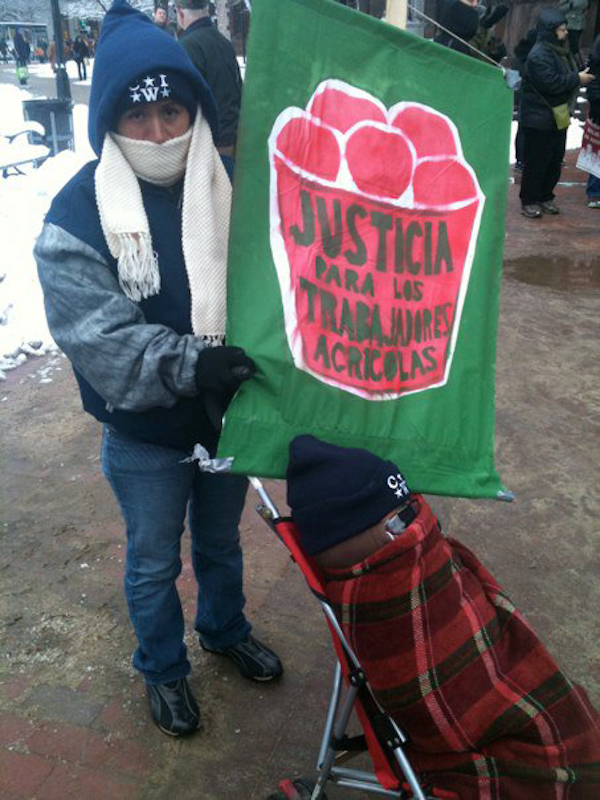 Today for every 32 pound bucket of tomatoes laborers receive between 45 and 50 cents, the same amount paid since 1978. 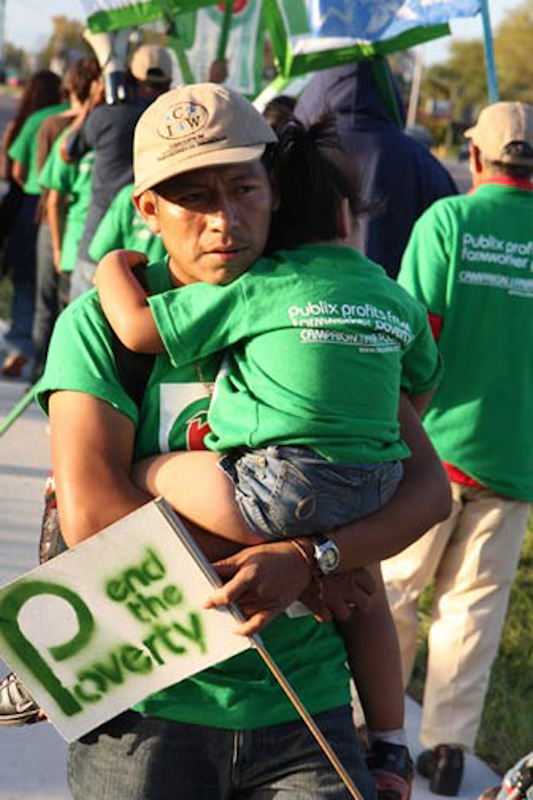 In an effort to change this the Coalition of Immokalee Workers (CIW) have reached a historic agreement with the Florida Tomato Growers Exchange. Under the terms of this agreement the farm workers will have better working conditions and will receive a penny a pound pay increase. However the agreement is contingent on the companies who buy the tomatoes agreeing to the price increase. For the consumer a penny more a pound does not mean much, for example in one batch of my Tomato Orange Marmalade it would mean 3 cents more. That is 1/2 a cent more per half pint jar. However for the men and women who pick those tomatoes it would mean earning $8 an hour instead of $5 an hour. It would still mean long days of back breaking work, however at least they would be earning minimum wage. Currently Taco Bell, McDonald's, Burger King, Bon Appetite Management, Compass, Aramark and Sodexo (who provides food service to UVM and many other schools) have all agreed to the increase. The only supermarket chain that has agreed is Whole Foods. There have been rallies, marches and petitions to bring the message to the supermarkets, do the right thing, fair pay for hard work. In response the supermarkets are still saying no, no to treating the workers with dignity, no to valuing the food they place on our plates. If you want to help the first step is not buying tomatoes grown in Florida (unless you shop at Whole Foods). However that is not enough, corporations are still pretending they are not at fault. Suzi Robinson, speaking as a representative for Stop and Shop, told a Boston Globe reporter, "the company should not dictate worker compensation to their suppliers." Even though the agreement already reached means agreeing to a price increase, not interfering to wage negotiations. 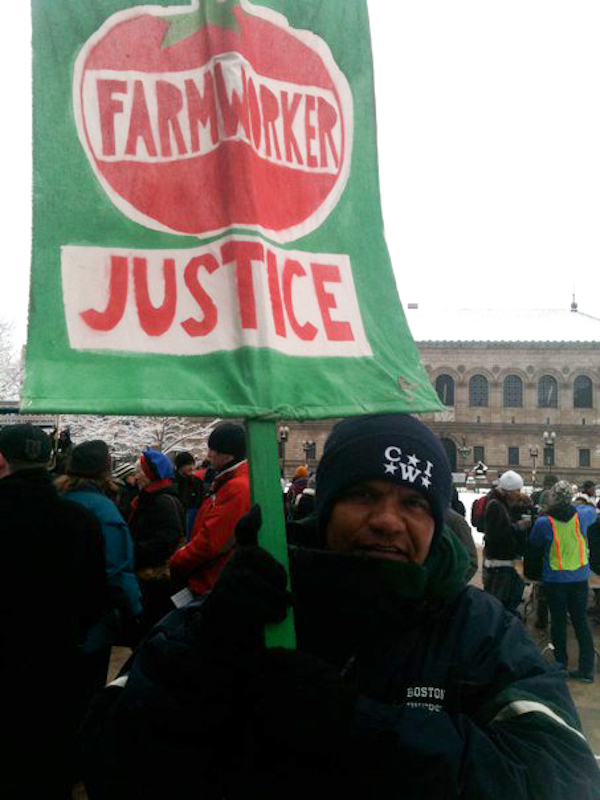 When the CIW tried to give a letter of hope for fair food and fair wages to a manager at a New York City Trader Joe's he refused. It may be trendy, with smiles from the employees and Hawaiian shirts but it appears this corporate food chain also refuses to sell food with dignity. He did not even agree to take the letter, demanding that they leave. I feel the attitudes the CIW has encountered means signing a petition is not enough to show our support. Boycotting Florida tomatoes alone is not enough. We all need to do something to stick our neck out a little, something that shows the supermarket chains we care enough to actually step up and make our voice heard. Walk in to your local supermarket, as many supermarkets as there are in your area, walk up to the customer service desk and tell them you will not purchase tomatoes from them unless they agree to the contract with CIW. For the first few customers to do this it won't really be noticed. This movement needs numbers for its impact to be felt. So after you tell your supermarket how you feel, tweet about it, blog about it, e-mail a link to your friends, and tell everyone on Facebook what you did in your status. [I stand with the tomato workers! I will not eat a Florida Tomato until they receive fair pay. My supermarket now knows! http://bit.ly/fIv3bX ] This time your support means more then just voting with your fork and choosing food carefully. You also need to tell the grocery stores what you believe in and what they need to do. What an informative post Robin. We are faced with so many decisions when we are shopping for food. I'll do my best to spread the information. Thank you!